The Rolling Stones Get Yet Another Documentary for their 50th Anniversary!!! Wow. Congrats to the Rolling Stones for being and playing together for 50 years. In celebration of their 50 years together, Director Brett Morgen will be making a new documentary focusing on the group. The Stones will produce the documentary and will follow the groups beginning and evolution to present day. Morgen has had access to the band back stage, on the road, in the studio, and more. Brett Morgen was nominated for an Oscar for the documentary ‘On the Ropes’. I have no idea how this will stack up to any of the Stones’ documentaries, being it ‘Cocksucker Blues’ or Scorsese’s ‘Shine A Light’, I’m sure this will be one hell of a ride. 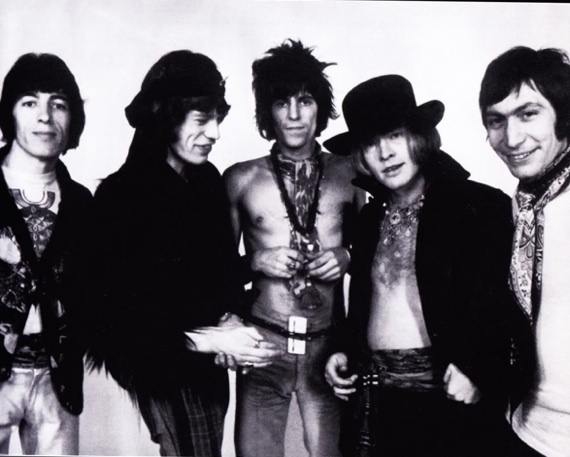 I just hope we get some info 50 years later on their thought to the whole Gimme Shelter documentary. The New Rolling Stones Film ‘Crossfire Hurricane’ Will Debut on HBO in November!!! This entry was posted on Wednesday, March 14th, 2012 at 8:57 pm	and is filed under Film, Music, News. You can follow any responses to this entry through the RSS 2.0 feed. You can skip to the end and leave a response. Pinging is currently not allowed. « Bryan Reviews ‘Gog’ DVD!! !